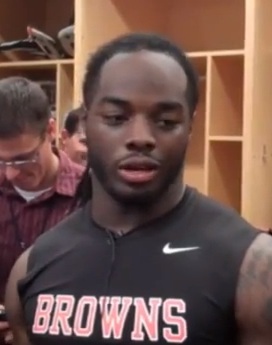 Being called “ordinary” by the great Jim Brown didn’t seem to bother Trent Richardson. In fact, Richardson has been anything but ordinary. Richardson’s play has been the only good news so far from the Cleveland Browns. After making those comments a few weeks ago, Brown has tried to retract them by saying he just said that to motivate Richardson, something Trent said he understood. We always knew that Trent was a humbled and graceful kid, so it doesn’t surprise me or anyone else that he would be a stand-up guy in this situation. To read more about Richardson’s meeting with Jim Brown, check out this article from the Cleveland Plain Dealer.